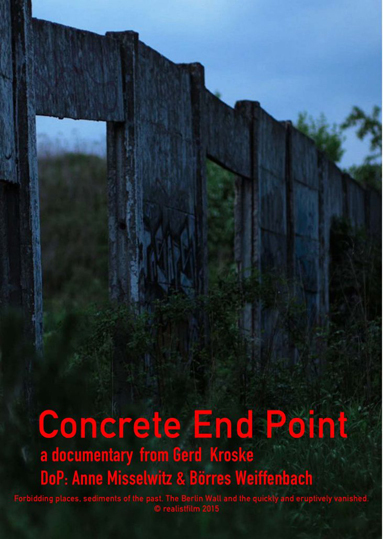 Concrete End Point designates a stretch of terrain, a zone, that still runs through Berlin, visible at a few brief points. Remainder of a structure that for 28 years was named “the Wall” and then quickly and eruptively vanished. The film searches for and observes what is still traceable from this structure. Forbidding places, sediments of the past.